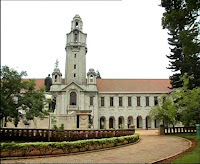 I am a student of IISc. Any one who takes a look inside the central building of the institute will get an idea of how strong the vision of J N Tata was. We find very few people who accord higher priority to nation building than their own interests. JN Tata was a rare Indian.